Democrats accused the GOP of “promoting hate” with the measure that is part of the fiscal 2017 legislative budget bill, which includes funding for the library. But Republicans like Rep. Paul Gosar, R-Prescott, said the Library of Congress’ proposed change amounts to politically motivated “censorship” of a straightforward expression, and requires that Congress step in to halt it. The requirement that the Library of Congress keep the current term came down to nothing than a desire to see the library follow language used in the U.S. Code, said Rep. Tom Graves, R-Georgia, the sponsor of the appropriations bill. “All we’ve done in this bill is say, ‘Hey, as you do your subject headings, make sure it’s consistent with the U.S. Code,'” Graves said during floor debate Thursday. Democrats dismissed Republican claims that the term is in the federal code, calling it a “pejorative” and “dehumanizing” term that needs to be done away with. “It pains me to even say the phrase ‘illegal alien’ out loud,” said Rep. Linda Sanchez, D-California. 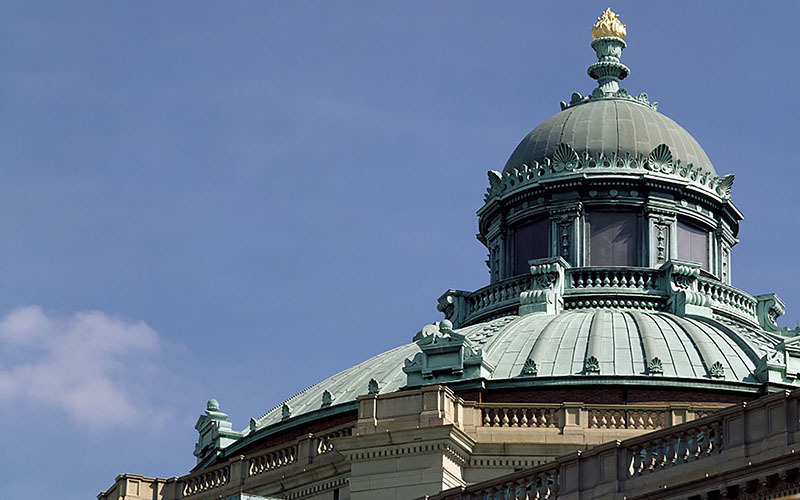 The Library of Congress noted the pejorative nature of the term when it announced the proposed change in March, but said that was not the main reason behind the move. The language change to the library’s catalogs, which was supported by several other library organizations, was done for the convenience of researchers. But Republicans said it was not the library’s call to make. They argued on the floor Thursday that the library needs to continue using terms consistent with the “laws of this land,” and that the place to make changes is in the U.S. Code, not in the library’s catalogs. Rep. Rob Woodall, R-Georgia, pointed out that Congress has made similar changes in the past, like its move to delete the last reference to “Orientals” in the U.S. Code in December. But Rep. Debbie Wasserman Schultz, D-Florida, noted that Congress had a chance to remove the language with amendments she tried to offer to the funding bill. Those amendments were blocked, and preliminary votes on the bill Thursday split mostly down party lines. The House was expected to continue debate on the bill late into the evening Thursday, with a final vote possible Friday morning.